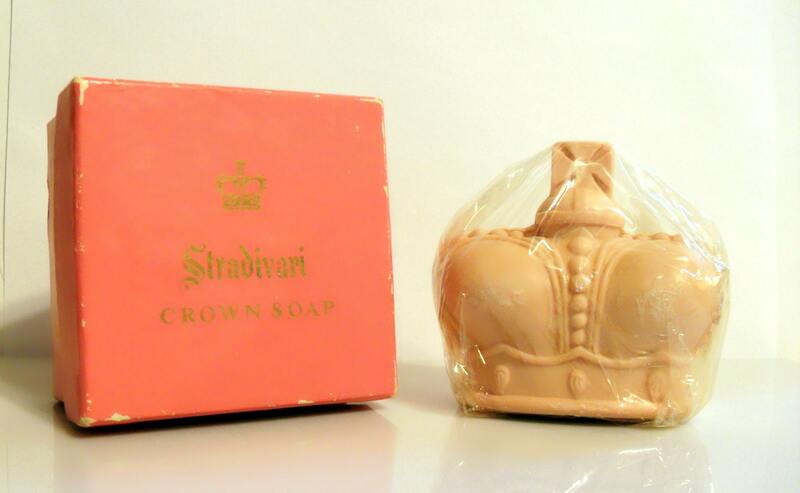 Vintage 1940s-1950s Stradivari by Prince Matchabelli Perfumed Soap in Pink Box. Soap measures 3" wide x 2.75" tall. The soap is still wrapped with cellophane. I do not know if it is still good to use though, so it's being sold as a collectible only. 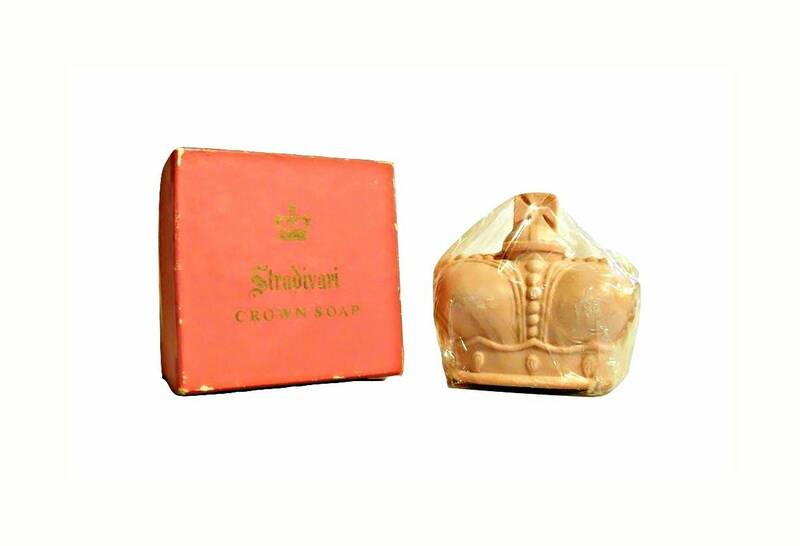 The Crown Soaps first appeared in the late 1930s and were available in two sizes: bath size (large) and hand size (small). 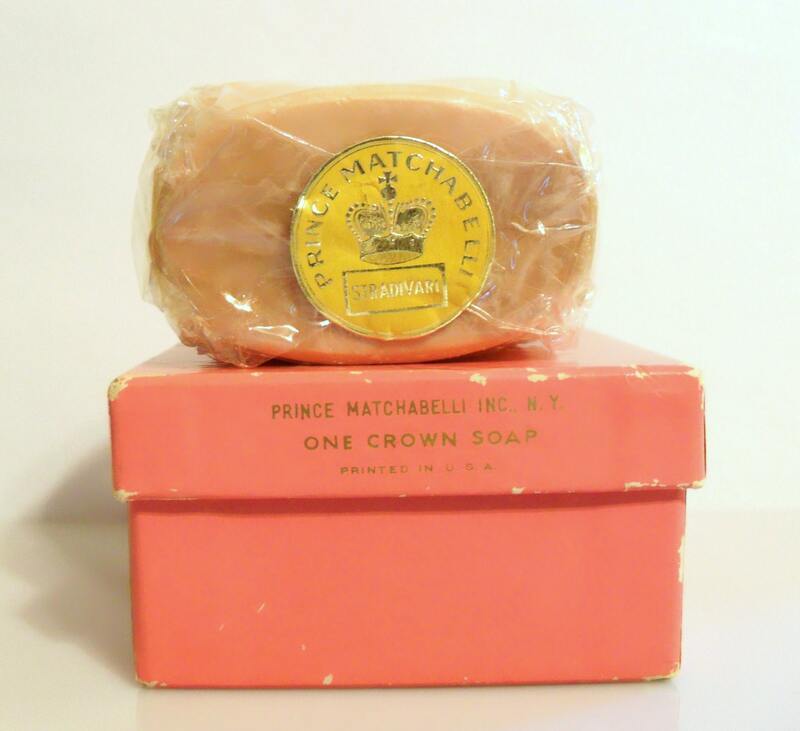 The soaps were sold until the early 1970s and are pretty hard to find today. Stradivari was launched in 1942, it was the first perfume the company had released since WWII started. It was named after the Prince Matchabelli Orchestra that was formed in 1942. This perfume has been discontinued since the late 1960s. It was classified as an Oriental woody fragrance for women.